Supreme Court rules 5-4 to uphold travel ban Supreme Court reaches decision on the Trump administration’s travel ban. The Supreme Court on Tuesday upheld President Trump’s controversial travel ban affecting several mostly Muslim countries, offering a limited endorsement of the president’s executive authority on immigration in one of the hardest-fought battles of this term. The 5-4 ruling marks the first major high court decision on a Trump administration policy. It upholds the selective travel restrictions, which critics called a discriminatory “Muslim ban” but the administration argued was needed for security reasons. At issue was whether the third and latest version of the administration’s policies affecting visitors from five majority Muslim nations – known as travel ban 3.0 – discriminates on the basis of nationality and religion, in the government’s issuance of immigrant visas. “The sole prerequisite set forth in [federal law] is that the president find that the entry of the covered aliens would be detrimental to the interests of the United States. The president has undoubtedly fulfilled that requirement here,” he wrote. Associate Justice Sonia Sotomayor was among the court’s four liberals that wrote a dissent. She and Justice Stephen Breyer took the unusual step of reading their dissents from the bench. While the policy was upheld, the case was sent back to the lower courts, which were told to rely on the Supreme Court’s interpretation of executive authority. It was the first significant legal test so far of Trump’s policies and power and could lead to a precedent-setting expansion on the limits of presidential authority, especially within the immigration context. Federal appeals courts in Virginia and California in recent months had ruled against the administration. The San Francisco-based 9th Circuit Court last December concluded Trump’s proclamation, like the two previous executive orders, overstepped his powers to regulate the entry of immigrants and visitors. 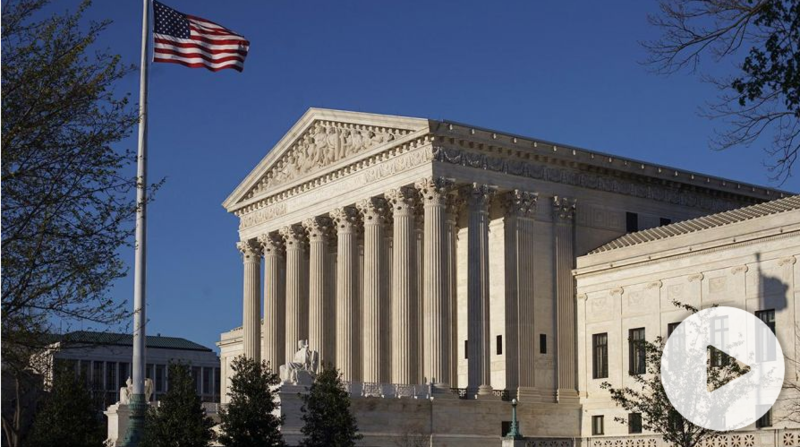 But the justices had allowed the current restrictions to be enforced at the Justice Department’s request, at least until the case was fully litigated. The Trump administration also seemed to enjoy a favorable reception before the court during arguments in April. Associate Justice Samuel Alito, during those April arguments, noted that of the 50 or so mostly Muslim majority countries, only five were on the current banned list. The White House had framed the issue as a temporary move involving national security. A coalition of groups in opposition called the order blatant religious discrimination, since the countries involved have mostly Muslim populations: Iran, Libya, Sudan, Syria and Yemen. Chad was recently removed from the list after the administration said that country had beefed up its information-sharing. A major sticking point for the justices was navigating how much discretion the president really has over immigration. Courts have historically been deferential in this area, and recent presidents from Jimmy Carter to Ronald Reagan to Barack Obama have used it to deny entry to certain refugees and diplomats, including nations such as Iran, Cuba and North Korea. A 1952 federal law — the Immigration and Nationality Act, passed in the midst of a Cold War fear over Communist influence — historically gives the chief executive broad authority. The high court’s majority downplayed Trump’s campaign statements as a major factor in its decision. Trump’s first executive order was issued just a week after he took office, and was aimed at seven countries. It triggered chaos and protests across the U.S., as some travelers were stopped from boarding international flights and others detained at airports for hours. Trump modified the order after a federal appeals court refused to allow the ban to be enforced. “This is not about religion — this is about terror and keeping our country safe,” the president said on Jan. 29, 2017. The next version, unveiled weeks later, dropped Iraq from the list of covered countries and made it clear the 90-day ban covering Iran, Libya, Somalia, Sudan, Syria and Yemen didn’t apply to those travelers who already had valid visas. It also got rid of language that would give priority to religious minorities. Critics said the changes did not erase the legal problems with the ban. When that second temporary travel ban expired in Sept. 24, it was replaced with Proclamation 9645 — what the administration said was a country-by-country assessment of security and cooperation with the U.S.